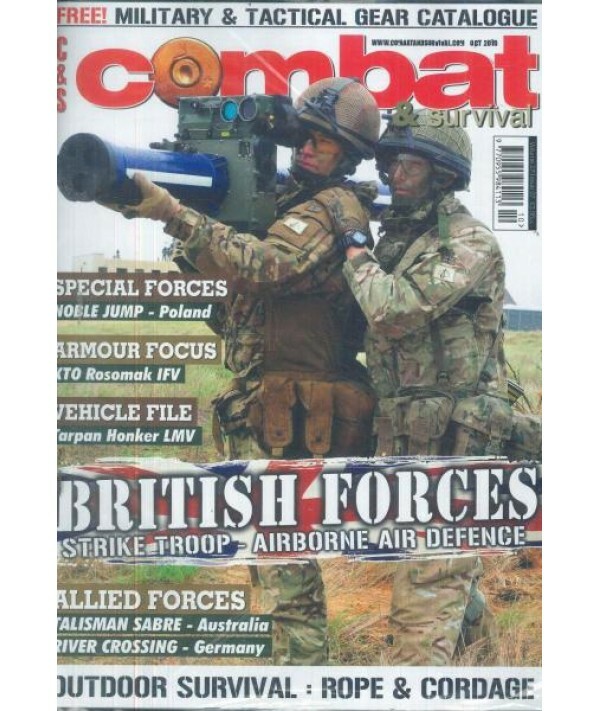 Combat and Survival - Philippine distributor of magazines, books, journals, etc. Combat & Survival is a quality, informed and informative title that keeps its readers up to spec on a multitude of topics, ranging from comprehensive kit advice, weapons and hardware reviews, and trouble-zone news to battle tactics. Our correspondents are the most well-respected, authoritative journos in the field. Their hot-spot reports have taken in Bosnia, Kosovo, Israel, Azerbaijan, Albania, Sudan, Somalia, South Africa, Cyprus and Afghanistan, Kuwait and, of course, Iraq.